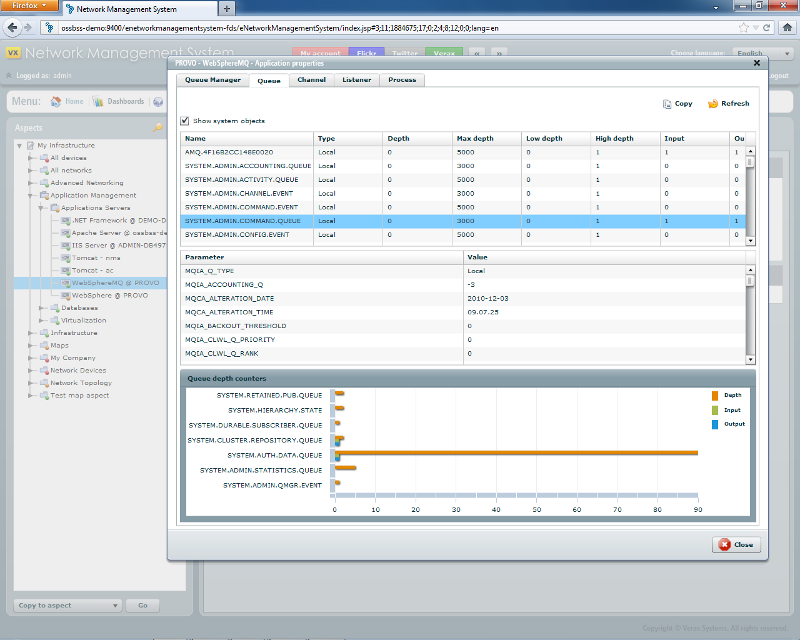 Verax NMS & APM IBM WebSphere MQ management plugin enables easy monitoring, alerting, health check, management and performance reporting for WebSphere MQ message brokers. 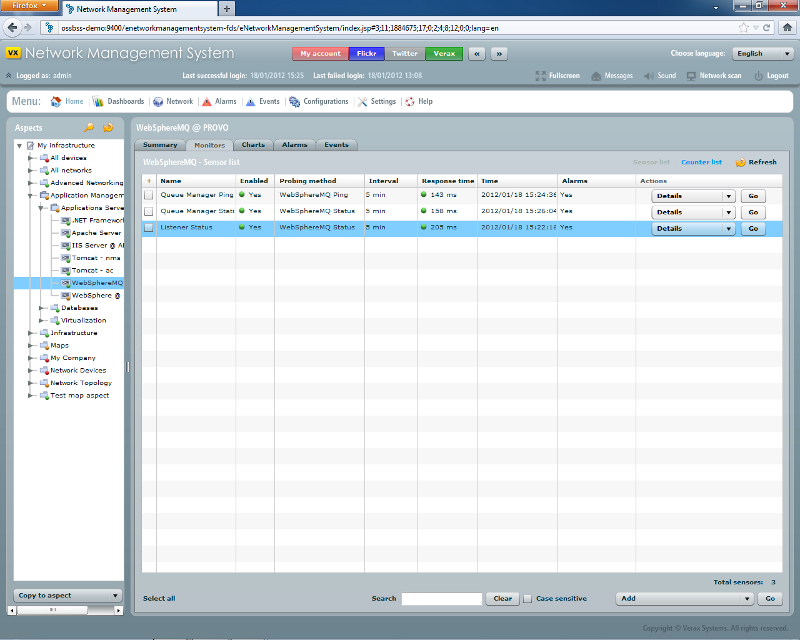 Manager name, creation time, operating system, software version, status (active/inactive), system channel, number of connections established and others. Parameter and status lists (e.g. MQCA_Q_MGR_NAME, MQIA_ACCOUNTING_INTERVAL, MQIA_CHANNEL_EVENT) with their current values. The view provides list of all the listeners on the WebSphere MQ server (e.g. TCP, SPX, NETBIOS along with status (active/inactive) and parameter list (e.g. MQIACH_LISTENER_CONTROL, MQIACH_NAME_COUNT, MQCA_ALTERATION_TIME and others) for each listener. The view provides list of all the processes of the WebSphere MQ server (e.g. SYSTEM.DEFAULT.PROCESS with parameter list (e.g. MQIA_APPL_TYPE, MQCA_ALTERATION_DATE, MQCA_ALTERATION_TIME and others) for process. Number of active users and number of transactions per second that system is servicing. Availability of Queue Manager and Channel Manager and others.